Till 1997, no one was sure what Cleopatra's Palace actually looked like. Many architects have tried to imagine the palace by drawing. That used to be the closest we could come to see her magnificent palace. However, ambitious excavations had begun in the bay of modern Alexandria to know more about this mystery. In 1997, an archaeological team from France discovered the drowned port of Alexandria and the two cities of Herakleion and Canopus just off the coast of Alexandria, in the Mediterranean Sea. This discovery started the underwater excavations of what was the city of Cleopatra. A crushing tidal wave caused by an earthquake covered this area from about 1,200 years ago. The growing excavations have uncovered hundreds of artifacts, including huge statues of kings and queens and of Hapi, the god of the Nile flood. These remains, as well as smaller statues and architectural splinters including columns and architraves, hint that the regal palace and gardens were rising close to the port. As excavations have preceded, the location of Cleopatra’s palace, Antony’s palace, and a temple have been located and finally the setting of their romantic story and tragic decease has been recognized. In 2006, a suggestion was put forward concerning an offshore underwater museum to show the city of Cleopatra. Many of the objects found underwater are left there in order to keep them; when removed and desiccated, these items could loose. The suggested museum includes a plexi-glass tunnel allowing the visitor to walk underwater on the steps of Cleopatra, Mark Antony, and Julius Caesar. Smaller objects like gems and coins have already been removed to stop theft, and these will be shown separately in an on-shore building. 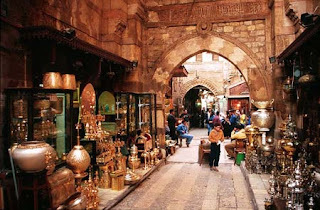 Khan el-Khalili is one of the world's great bazaars a sprawling, confusing, enclosed city-within-a-city first set up as a caravansary in 1382. Here, you can find a noisy, wonderful, chaotic, and awash with the smells of spices, incense, and leather market. Everyone here wants your business, your money, your time for a glass of mint tea. Whether you're shopping or not, bypass the tiny stalls and workshops on the most trammeled pathways (which have become highly touristed) and penetrate deep into the bewildering warren of back alleys, where Cairenes still shop for their dowries, cotton galabiyas, fezzes, and. sheeshas, or hooka water pipes. This is the place to practice your haggling technique, but don't expect to win against merchants with thousands of years of practice in their blood. Almost everything is available here. Mini bazaars within the bazaar specialize in such goods as carpets, gold, fabrics, perfume, and cosmetics (where the tiny pots of eye-lining kohl, Cleopatra-style, are made from burned, crushed olive pits). Open round-the-clock since 1752, El Fishawy is still the Khan's most famous coffee and tea house, immortalized by Lawrence Durrell. In a rich 19th century European ambience of gilded mirtors, hammered brass, and cracked marble-topped tables, puff on a water pipe, have your fortune told, people-watch, and order what is said to be the best coffee in the city, delivered in little brass pots. But actually these structures aren't all of what they left !! The fact that the ancient Egyptians had done many successes and achievements which covered most sides of the human life, including the political and social improvements , as well, their advances in many scientific fields as medicine, mathematics, irrigation systems, and many other sides. Anyway,..I'll try to show briefly some of their greatest achievements through the coming posts..and let's talk now about their successes and achievements in the science of astronomy.. 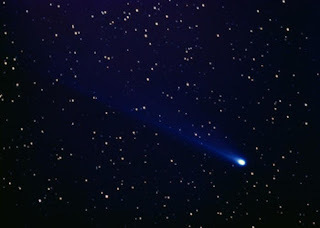 The Egyptians were very interested in the stars and constellations and they gave much care for that exciting science. From the Middle Kingdom, constellations were often depicted on coffins as star clocks, showing the length of time stars were visible or invisible. From the New Kingdom, ceilings of tombs and temples often displayed the constellation of stars. These constellations were the same as the ones we see today, but represented differently. For example, Orion was represented as a man turning his head and Ursa Major was represented as a bull’s foreleg. The ancient Egyptians had used astronomy for many different practical sides..and one of their best achivements was setting the new year always to coincide with the rising of Sirius in mid-July and the annual flooding of the Nile. Flooding was happening every year and at the same time. The ancient astronomers and priests, notised that the flooding always occurred at the summer solstice, which also just happened to be when the bright star Sirius rose before the sun and so, they were able to predict the annual flooding, a skill which in turn rendered them considerable power. Then they divided the year into twelve months of 30 day, followed by a five day feast period. Finally, it is important to say that The stars were not used to predict the fate of humans in Egypt until the Ptolemaic period when the Greeks introduced astrology. The most famous zodiac in Egypt is on the ceiling at Denderah and dates to the first century AD. This zodiac displays all the familiar zodiac signs, including Leo, Aries, and Taurus. 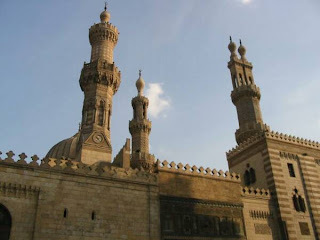 Take a tour through Islamic Cairo.. Historic Cairo contains the greatest concentration of Islamic monuments in the world, both in quality and quantity, and is included in UNESCO's World Heritage List on a par with Venice. Among Cairo's monuments are mosques, mausolea, and madrasa (religious schools) built by prominent patrons between the seventh and the nineteenth centuries. There are also hammam (public baths), palaces, houses, city gates, and wikala (large buildings centered around a courtyard that combine living units in the upper stories with commercial uses at ground level). A type of building unique to Cairo is the sabil-kuttab, a two-story building with a covered water fountain to serve the community on the ground floor and a simple room for teaching young children to read the Quran on the upper level. Although historic buildings are scattered widely throughout the city.Many of the major monuments form natural groups or clusters that are mutually enhancing. A visitor standing in the midst of a group of monuments can have some idea of what Cairo must have been like in its glorious past. These clusters create a general pattern along al-Mu'izz li-Din Allah Street the spine of the historic city, and part of al-Gamaliya Street running parallel on the east side. Expanding southward, the pattern continues along the Street of the Tent Makers, then to the east of Bab Zuwayla along ai-Darb al-Ahmar, following the sweep to the monumental mosque of Sultan Hassan at the foot of the Citadel. In the coming posts, I'll try to talk a little bit about historic islamic cairo and the basic characters of it and the best landmarks you may like to see and visit during your vacation. How Egyptians spend Eid El-Fitr ? 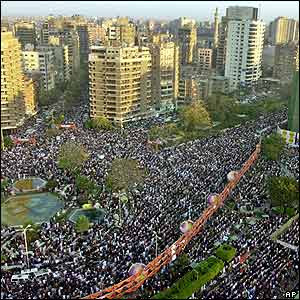 If you spend your holiday in Eid El-Fitr in Egypt, then you can consider yourself really lucky. In Egypt, people like to celebrate with others and the Eid has really a special taste which you can feel in every place and every street you walk through so,.you can either share with Egyptians their celebrations and as well you can do some shopping and get benefit from the special offers during that period of the year. Ok,...let's talk a little bit about Eid el Fitr,...it is an Islamic celebration which comes as a gift or reward from "Allah" for all the Muslims after fasting month of Ramadan, and usually it is a 3 day feast in which people have an official holiday in Egypt. The begin of celebration of that day is in the mosques to do Eid prayer (Salat al-Eid) which is always after sunrise where men, women and children listen to a religious speech in which Imam usually reminds Muslims of the virtues and good deeds they should do to friends, relatives, neighbors and even strangers during Eid el Fetr and throughout the year. After the prayer, Egyptians usually visit families and offer sweets made specially for this occasion called the feast sweets or Kahk..as well, biscuits and all of these sweets are mostly been baked at home or some times, bought from candy shops. Family visits are considered a deal on the first day of the Eid, then they have the rest of days to enjoy by going to parks, cinemas, theaters, malls or the beaches. Some like to go on tours or Nile cruise. 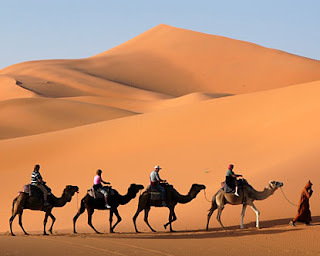 Sharm El Sheikh is considered a favorite spot for spending holidays is Egypt. It is customary for children to also receive a "Eidyah" from their grown-up relatives. This is a small sum of money that the children receive, to spend on all their activities throughout the Eid. Children wear their new clothes and go out to amusement parks, gardens or public courtyards based on how much their Eidyah affords. 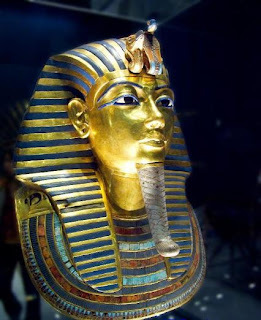 If you think that the golden mask of Tutankhamun which you always see in the tourist's posters is just a monument like any other one..then take a while to know the importance of that mask and all the other treasures which had been discovered on that young pharaoh's tomb. 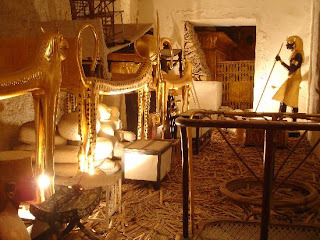 Tutankhamun’s tomb is one of the most famous and monumental finds in the history of Egyptology, because it is the only undisturbed royal tomb found in Egypt. All the other royal tombs were robbed in antiqu ity, and indeed so was Tutankhamun’s. Luckily, these burglaries were small, and the majority of Tutankhamun’s goods were found intact. 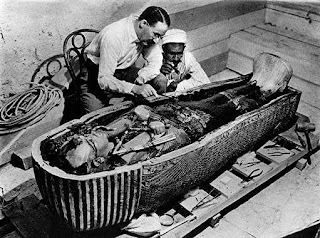 In 1914, Egyptologist Howard Carter and his benefactor Lord Carnarvon started excavating in the Valley of the Kings, just after another excavator, Theodore Davis, who had worked in the area for some time, claimed that ‘The Valley of the Tombs is now exhausted.’ How wrong can one man be? Carter and his team did uncover a number of tombs in the Valley, and in 1917 Carter began to search for the missing tomb of Tutankhamun (a number of objects had been discovered showing the existence of a tomb in the area). However, by 1921 the team still had not discovered the tomb, and Lord Carnarvon considered withdrawing his funding. After much debate, Carter convinced him to fund one final season. Luckily for Carter this final season was a cracker. On 4 November 1922 his team uncovered the first stone step of Tutankhamun’s tomb. The next day they cleared the steps to reveal the door, complete with ancient seals showing the tomb was intact. The first doorway was opened on 23 November 1922, and the second doorway within the tomb on 26 November. At the opening of this door, Carter and Carnarvon saw for the first time the wonderful objects hidden for three millennia. These include solid gold coffins, gilded shrines, scores of pieces of golden jewelery, and the famous solid gold death mask. The first chamber was officially opened on 29 November, and the burial chamber on 17 February 1923. The cataloguing of the objects started, and on 28 October 1925 the team finally opened the coffin and gazed at the face of the king who lived and died so long ago. Cataloguing and recording all the artefacts in the tomb was finally completed on 10 November 1930, eight years after the discovery. Mena House Oberoi ...a story of a historic hotel over 150 years old..!! 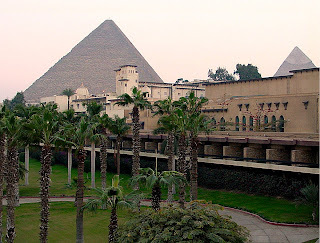 It is a special case among the hotels in the Egyptian capital, not because it gives you a hotel accommodation, but it gives you the opportunity to reflect on a civilization that still fascinates the world, and overlooking the hill of the famous pyramids, and its guard, the Sphinx, with enjoyment of the excellent service that is given to you. Therefore, the point is not just settle in one of five-star hotels, but it's another story contains many elements of thrill, excitement and spirit of ancient and modern history which makes this hotel being at the top of fun. The beginning with Mena House Hotel was in the sixties of the nineteenth century, when the Ismail Pasha wanted to build a rest house for himself and his family on the pyramids hill, not because he just liked to see the pyramids and the Sphinx, but he wanted to build a resting place during his hunting trips in the desert. He built a palace on an area of 40 acres, surrounded by gardens and a wonderful oasis in the heart of the desert. The palace remained just a rest for the Pasha and his friends till 1869 which witnessed the celebration of the inauguration of the Suez Canal, when Isamil Pasha invited the kings and dignitaries in Europe, led by Queen Eugénie de Montijo, Queen of France.. who had been hosted in his own rest house to get the chance to see and visit the pyramids. 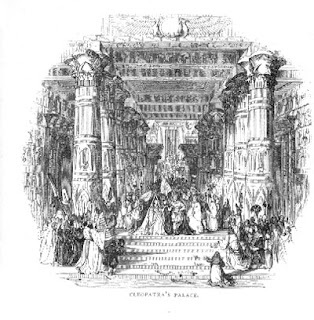 In spite of the excellent establishment of the palace and its ownership of the Egypt ruler, and in an event was not repeated with any of the other ruler family's palaces in Egypt, the palace had been sold to a wealthy British sir called Sir Frederick Head, who was impressed by the palace and its location when he visited the region with his wife. During searching for a name of the couple's new palace, a friend suggested them to name the house the name of King Mena who united the two territories in ancient Egypt, so the palace was named «Mena House». The name is not the only addition, but a second story has been established and more care has been given for the garden and many kinds of trees has been planted. Despite the magic of the palace, Sir Frederick decided to sell it due to the doubling of its price, and finally it was sold to a British family which was famous for its interest in the Egyptian monuments. The family has taken the decision to divert the palace to a hotel to exploit its fame and its reputation, and there was a development of the palace by modern European-style through some touches of characteristic of British architecture and decoration, as well as the restoration of its antiquities collection and distribution through rooms, and the hotel began to receive visitors in 1887. A swimming pool was built in 1890, and a golf court on the sand in 1899 till it was converted to green fields after the end of the First World War. 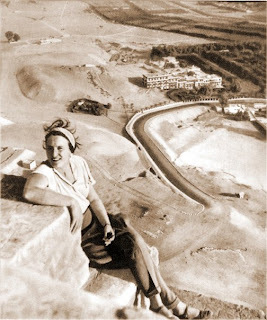 Mena House Hotel, relationship to history had not stopped, but extended to World Wars I and II. 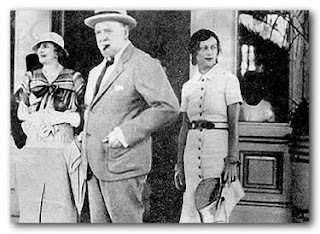 At the first war in 1914 - 1918 and due to the no means of transportation, the hotel had turned to the residence of the Australian soldiers, while in the Second World War, the hotel has seen meetings of a number of leaders Allied forces, such as the meeting between Winston Churchill and President Roosevelt to discuss plans for war in 1943, then by the English commander Montgomery, whose name is still maintained on his wing till now. As well,..Mena House was witness to one of the pivotal events in the history of Egypt. All peace negotiations after the 1973 Ramadan War between Egypt and Israel were conducted at it. The Mena House Oberoi Hotel and Casino has also played host to some of the most famous cinema stars including Charlie Chaplin, Cecil B. DeMille, Robert Taylor, Omar Sharif, Barbara Hutton, Mia Farrow, David Niven, Peter Ustinov and the cast of Agatha Christie's "Death on the Nile". When you think about an ancient Egyptian temple like Karnak…it isn't easy to imagine it without thinking of its columned halls…is it?? 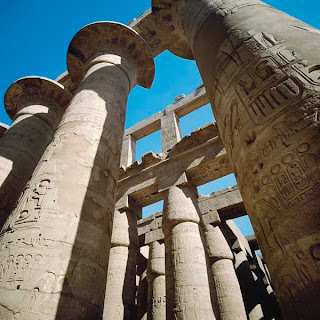 One of the most beautiful and impressive aspects of architecture which comes to mind when you think about any Egyptian temple, are the spectacular columns, resembling groves of stone trees.. These columns, especially at Karnak and Luxor, dwarf human beings and bear inscriptions, carved relieves, and a weighty majesty unequaled anywhere else in the world. Most people who have some interests in ancient Egyptians will identify immediately the shape of Lotus and Papyrus style columns, but actually no less the about 30 different column forms have been isolated from temples of the various periods!! Columns held special significance for the Egyptians, representing as they did the expanses of nature. Columns alluded to the times when vast forests dotted the land, forests that disappeared as the climate changed and civilization took its toll upon the Egyptian environment. They also represented the Nile reed marshes. The columns were introduced in order to simulate nature, and to identify man again with the earth. The first tentative columns are still visible in the Step Pyramid of Saqqara, but they are engaged columns, attached to walls for support and unable to stand on their own. Imhotep designed rows of such pillars at the entrance to various buildings and incorporated them into corridors for Djoser's shrine (2600 B.C.E.). In the Fourth Dynasty (2575–2465 B.C.E.) masons experimented with columns as a separate architectural entity. In one royal tomb built in GIZA in the reign of Khufu (2551–2465 B.C.E.) limestone columns were used effectively. In the tomb of Sahure (2458–2446 B.C.E.) of the Fifth Dynasty, the columns were made of granite, evincing a more assured style and level of skill. Wooden columns graced a site in the reign of Kakai (2446–2426 B.C.E.) in that same dynasty, and another king of the royal line, Nisuerre (2416–2392 B.C.E. ), had limestone columns installed in his Abusir necropolis complex. At Beni Hasan in the Eleventh Dynasty (2134–2140 B.C.E.) local nomarchs, or provincial chiefs, built their own tombs with wooden columns. The same type of columns was installed in tombs in the Twelfth Dynasty (1991–1773 B.C.E. ), but they were made of wood set into stone bases. With the coming of the New Kingdom (1550–1070 B.C.E.) the columns become part of the architectural splendor that marked the capital at Thebes and at the later capital of PER-RAMESSES in the eastern Delta. Extensive colonnades stood on terraces, or in the recesses of temples, opening onto courts and shrines. Have you heard about The Bent Pyramid?? What do you know about Amon, Aton, Osiris and the other Egyptian's Gods ?? 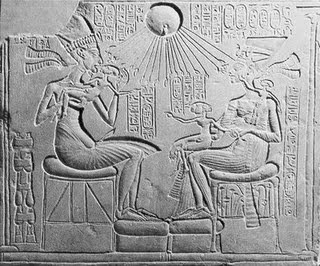 Sure you have heard that name "Akhenaten" somewhere, whatever in a Tv show or in an article but maybe many don't know that the Egyptian Pharaoh Akhenaten, is one of the most controversial figures in the religious history, as a first person in the recorded history embraces the doctrine of religious uniformity. The most exciting and mysterious exists in the last years of his rule, which have been obscured, as well as the issue of lack of evidence of his death and the absence of his body in the cemetery, which carved for himself, as well as free coffin burial was found free of any traces of embalming, which breaks the non-burial it, and opens the door wide open to all perspectives on this problematic pharaoh. In that post, I'll try to show some quick notes about that controversial Pharaoh, his family, his beliefs and the days of his rule.. He reigned from 1353 B.C.E. till his death. 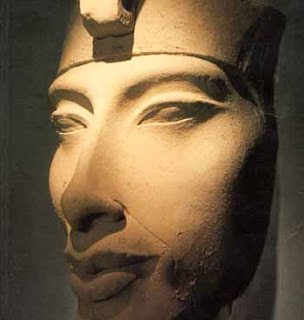 Akhenaten has been called the first monotheist or the “heretic pharaoh” in some lists, because of his denial of the divine pantheons of Egypt. His throne name was Neferkheperuré (translated as “Re’s transformations are perfect”), to which he added Wa’en’re (“the unique one of Ré”). He also called in the references by Amenhotep IV. Akhenaten served as coregent with his father, Amenhotep III (r. 1391–1353 B.C.E. ), maintaining the usual cultic rituals until he married Nefertiti. The marriage was politically advantageous because Nefertiti’s family came from Akhmin, a stronghold of aristocratic power needed by the pharaohs. In the fourth year of his reign, Akhenaten and Nefertiti visited a site on the Nile south of modern city "Mallawi". There, a new capital was constructed, called Akhetaten, “the Horizon of the Sun Disk.” This site is now known as el-’Amarna, in honor of a tribe of Bedouins who settled there in the 1700’s C.E. Vast and marked by 14 perimeter stelae, the new capital was six miles long, centering on the royal residence and the temple of Aten. There were well-planned urban districts, pools, gardens, and a royal avenue that ran parallel to the Nile. An innovative brick bridge, designed to connect two separate buildings and containing an opening called the Window of Appearance, where the ruler and his consort addressed guests and bestowed honors upon courtiers who had served with distinction, graced the royal avenue. 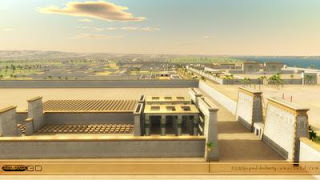 The beautiful and unique “Amarna style” was used in decorating the capital, demonstrating a natural and free unison of the arts. Akhetaten was completed in the fifth or sixth year of Akhenaten’s reign. Religious services in the capital were reserved for Akhenaten alone, although he appointed a high priest in the later years. Few others had access to the sacred precincts; even Nefertiti was relegated to minor roles in the daily rituals. Many ceremonies were held in the open sunlight, a custom that brought about complaints from foreign dignitaries. These ambassadors and legates from other lands attended the ceremonies in honor of Aten and suffered heatstrokes as a result. Outside of the capital, however, the old gods of Egypt held sway. Akhenaten closed down some temples, confiscating the vast plantations of the priests. He also viewed himself as the lone mediator with Aten, thus injuring the great bureaucratic machinery that maintained Egypt’s vast government agencies. His destruction of temple plantations, sources of valuable food products, led Egypt toward economic ruin. Abuses by lesser offi-cials and the weakening of established distribution processes started early in his reign. In his eighth year, Akhenaten welcomed his mother, Queen Tiye, and his sister "Baketamun", to the capital. They accepted a villa there and remained at Akhenaten’s side. He was still militarily active at the time, not having established his reclusive ways or his abandonment of Egypt as a nation. During this period he conducted a campaign south of Aswan (in modern Sudan) and sent troops to Egyptian vassal states in the Mediterranean region. Mercenary troops maintained garrisons in vassal cities. The collection of correspondence from this era is called the ’Amarna Letters. They demonstrate his military activities. His family life was deteriorating, however. A second wife, Kiya, possibly a Mitanni princess, bore him two sons and a daughter but then fell out of favor. A daughter by Nefertiti, Meket-Aten, is reported to have died bearing Akhenaten’s child, and by the 12th year of his reign, Nefertiti was no longer at his side. She was replaced by another one of her daughters, Meryt-Amun. 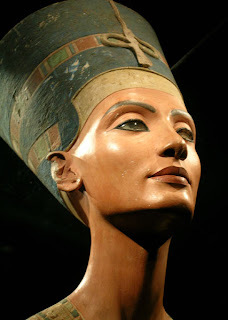 Nefertiti remained in the capital but resided in a separate villa, removed from religious and social affairs. Her demise is not documented. Some historical accounts state that she lived to counsel Tut’Ankhamun when he took the throne in 1333 B.C.E. After Nefertiti’s exit from the palace, Akhenaten became even more involved in the service of Aten. He spoke of the god as a celestial pharaoh, using the sun disks and its illuminating rays as symbols of creation. Akhenaten’s hymn to Aten, discovered in the tomb of Aya in ’Amarna, provides the universal theme of worship that he tried to promote throughout the land. His agents, however, began a program of destruction that violated the other temples and shrines of Egypt, dismaying the common populace and making Aten unpopular. Smenkhare, a relative of Akhenaten, and the husband of Meryt-Amun, is believed by some scholars to have been Nefertiti in assumed guise, serving for a time as coregent. He succeeded Akhenaten in 1335 B.C.E. but ruled only two years, dying at the age of 20. Akhenaten died in his 18th year of reign, 1335 B.C.E., and was buried in ’Amarna. His remains were moved by priests when Tut’ankhamun was entombed and placed somewhere in Thebes which now called by "Luxor". His capital was abandoned, and later rulers, such as Horemhab (1319–1307 B.C.E. ), removed stones called Talatats for other projects. Some 12,000 blocks from Akhenaten’s capital at ’Amarna have been gathered from a pylon built by Horemhab at Karnak. Akhenaten has been called the world’s first monotheist, but he allowed other solar deities to be displayed in his capital at ’Amarna. He also declared himself a god, the son of Aten, and had a high priest dedicated to his cult, sharing his jubilee ceremonies with Aten. Akhenaten has been recorded as being a pacifist, oblivious to the needs of the empire. However, wall scenes at ’Amarna depict him and Nefertiti smiting Egypt’s enemies, and he did maintain garrisons in his territories. of the average Egyptian at the time. The National team won on their Rwandan host by a very valuable goal which has been scored by Ahmed Hassan in the fourth round of the third group in qualifications for the World Cup and African Nations Cup and to renew the Pharaohs hopes to qualify for the World Cup finals. The technical staff of the Egyptian team found themselves in trouble after they have been forced to exclude Abo Trika from the list after he has felt some pain during warm-up and had to enter Ahmed Hassan in his place in the basic form. Egyptian team has raised his score now to 7 points and got the second place behind the Algerian national team, which has the same points and waiting a game at home to Zambia's national team on Sunday evening. Egypt vs USA..Can Pharaohs be in the final four? OH MY GOD ! !..Egypt wins Italy, the champions of the world!! Who was Egypt and Who was Brazil?? Egypt looks forward to its meeting vs Italy and Marcello Lippi warns from the Egyptian threat. Egypt vs Brazil..Can the Egyptians make a surprise?? 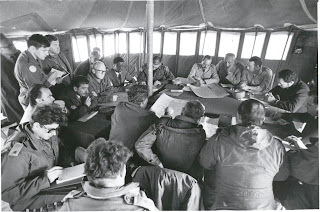 After the end of a meeting of the negotiations of the first disengagement (Kilo 101), which followed the Egyptian forces crossing through Suez Canal in October 1973 War, general Abdel El-Ghani El-Gamasy (Chairman of the Egyptian delegation and the Chief of Staff of the Egyptian army) went out from the tent without greeting any of the members of the Israeli delegation or saying even a single word as his habit during the negotiations, General "Ezer Weizman," (Chairman of the Israeli delegation and the President of Israel later) sped up behind him and said to him: "Mr. General, I have looked for a picture of you laughing, but I didn't find…., don't you laugh at all?!".. The Egyptian commander looked at him silent, and then left him away … then Weizman wrote in his memoirs: "he struck me as a very wise man, he represents a different form from those exists in our files, and I told him so.".. The fate played a role in the life of Gamasy…after he completed high school, when the government of Mustafa El-Nahass Pasha tried to contain the burning patriotism feelings which was spreading through the Egyptians in this period, so it opened - for the first time - the doors of military academies for the sons of the middle and poor classes, which enabled el-Gamasy to join the military academy without completing the seventeenth with a number of his generation and social class who were chosen by the fate to change the history of Egypt; Gamal Abdel Nasser, Abdel Hakim Amer, Salah and Jamal Salim, Khalid Mohi el-din ... and some others who formed the movement which called lateraly "the free Officers".. He graduated in 1939 then went to the Western Desert of Egypt; where the fiercest battles between the Allied armor led by Montgomery and the Axis, led by Rommel during World War II, ..... it was important experience and useful lesson which he had stored for more than thirty years till he had the opportunity to benefit from it during the Ramadan War. After the end of the war, he continued his military path; he received a number of military training courses in many countries of the world, then he worked as an office in the army intelligence, then a lecturer in intelligence school where he specialized in the teaching of Israeli history as well, everything related to it reinforcement and its military strategy. The defeat of June 1967 the beginning of a correction in the face of the Israeli war machine; and at this time, he was given the duties of supervising of the training of the Egyptian army with a number of other leaders known for their integrity and military experience in preparation for the revenge of the heinous defeat… Gamasy was one of the most military leaders familiar with the enemy, which enabled him to rise quickly, leading the Army training, then became the chairman of the operations staff, and after that the head of the military intelligence in 1972, till October war 1973 to fill the post of Chief of staff. Gamassi didn't miss a single day; he began to prepare for the hour of decision to fight the Israeli enemy, analyzing and collecting all information, and when he was assigned with the other leaders to prepare a plan for the battle, he restored all his knowledge, and began to make notes about all the moves of the Israeli army, and the suggestions of timing of the war, and how to achieve surprise. And to guarantee the secrecy of these all this information and notes, he recorded them where no one could have imagined; in a studying notebook of his young daughter; and it has not seen or read by anyone except the Egyptian President Anwar el-Sadat and Syrian President Hafez al-Assad during their meeting to decide the war ! 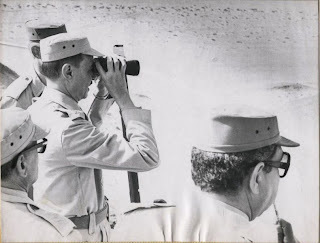 The veteran Egyptian leader has chosen the timing of the war very carefully: 2:00 p.m on the sixth of October 1973, the most appropriate timing of a possible war; due to the presence of Jewish holiday and consent for the month of Ramadan. 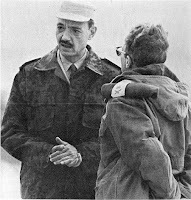 Sadat has chosen El-Gamasy to take responsibility for negotiations with the Israelis in negotiations known as Kilo 101, and as a military commander, he couldn't disagree or refuse the order, however, he had decided not to start military salute to General "Yariv", the head the Israeli delegation, and not to shake his hand, and that is what really happened. The man appeared solid military negotiator till the most difficult moments experienced in his entire life, which led him- for the first time in his military career – to tear! That was in January 1974 when Henry Kissinger told him the approval of president, Sadat on withdrawal of more than 1000 tanks, 70,000 Egyptian troops from the eastern bank of the Suez Canal!!! 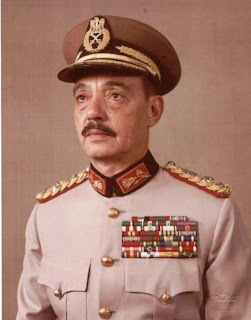 Gamasy strongly rejected, and quickly he phoned Sadat who confirmed the consent…. then returned back to the negotiating table resisting tears, and then couldn't control himself and turned his face to cover a incendiary tear, sorrow for the military victory and lives of thousands of men neglected by policy on the table of negotiations. It was a surprise to Henry Kissinger to see the tears of the general, who often have familiar of Israeli leaders who feared him more than any other military leaders Arabs. Marshal Gamasy has been out of military life in 1978, but he retained with the same rigid traditions of commitment, discipline and silence away from the lights, and when the wave of writing about the October war spread throughout the world, information has been unfolding on the role of this man in war, and he has named by many titles," the Egyptian Desert Fox", "Professor of the armor", and "architect of the October War". However, the strangest title was launched by the "Golda Meir", Prime Minister of Israel during the Yom Kippur War, when she called "The Fearful Skinny General". Perhaps many don't know anything about that pyramid as it doesn't have the same popularity of a pyramid like "Khufu" for example but i guess it'll be interesting to know that there is more than 130 pyramids discovered in Egypt right now...and the Bent Pyramid is one of them.. Anyway, The Bent Pyramid, located at the royal necropolis of Dahshur, approximately 40 kilometres south of Cairo, of Old Kingdom Pharaoh Sneferu, is a unique example of early pyramid development in Egypt, about 2596 BCE. 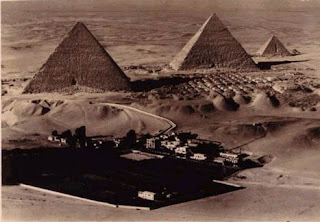 This was the second pyramid built by Sneferu. 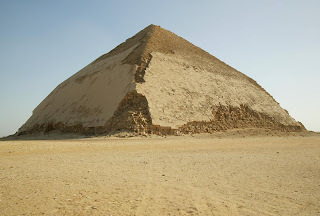 During the first phase of construction of the Bent Pyramid was completed blocks were placed diagonally to the inside, as in the previous step pyramids, although the pyramid was planned from the start, a true pyramid, smooth-sided. Then, about halfway up the pyramid, the decision was made to lay the blocks horizontally, and cut the angle for the second time. This will relieve the inner chambers of the pyramid and its particular corner resulted. It also reduces the amount of masonry required to complete the pyramid. The ground beneath the pyramid was unstable, and if these drastic measures must be taken to save the monument from collapsing. The interior of the pyramid is also exceptional. There are two entrances: one on the north side and another on the west side. The North Entrance is about 11.8 meters above the ground, from here you descend into a well, long and thin to about 80 meters. Then, you enter a room projecting. Then, in order to reach the lower chamber buried 6.25 meters along the south wall, now you must climb a set of wooden stairs. The western tree is less steep than in the north, the direction by about 65 meters to another grave chamber before the body of the pyramid as the North Entrance. Old cedar can see in this room, placed there in order to stress to the rooms. Standing in the pyramid, it can sometimes feel cool air flowing from inside the pyramid to the output. This means that a chamber could attach to the outside to indicate that it may discover even more hidden rooms. Although the ancient Egyptians did worship hundreds of different gods, there were several gods were more popular than others such as Amon-Re as he was the primary Egyptian god, supposed to be self-created. He was thought to be all-powerful and in result was thought to have created the entire world by simply speaking it into being. While at first he wasn’t one of the more prominent gods, he eventually replaced Egypt’s war god and became such an important god that he was recognized as the king of all gods. The main center for worship of Amon-Re was in Thebes (Luxor). Osiris, probably the most well known of the Egyptian gods, was considered to be the god of vegetation, the god of the resurrection, but most importantly, the god of the Underworld. According to Egyptian mythology, Osiris was sent to earth by Amon-Re and he ruled peacefully over it until his brother, Set, became jealous of his good position and enticed him into a coffin, which he sent down the Nile River. The coffin was found by Isis, wife to Osiris, enclosed in a tree in Lebanon. She brought it back to Egypt, but during a temporary absence, Set stole the body of Osiris from Isis and cut into pieces, scattering the pieces throughout the land. Isis recovered to pieces and using magic, was supposed to have resurrected Osiris as a God-King. Osiris then became the ruler of the Underworld and the judge of the dead. Brother and rival of Osiris, Set is the Egyptian god of chaos, sometimes known as the god of storms, wind, war, and deserts. After the incident in which Egyptian mythology claims that Set murdered Osiris, Horus, the son of Osiris, came after Set in anger because of Set’s murder of his father. The two of them fought endless battle until Horus was finally victorious. Set was then banished by the gods. Isis, the goddess of fertility and motherhood, is the first Egyptian goddess and also most likely the longest lasting. Worship of Isis was popular all over Egypt, but she had two main worship centers solely devoted to her; one at Giza and one at Behbeit El-Hagar. As the wife and sister of Osiris, Isis was considered to be the goddess of the dead, and also the goddess of magic, as she used magic to resurrect Osiris from the dead. The goddess Isis is the personification of the throne and the hieroglyphic for throne is the same as her name. The only time the Egyptians neared monotheism was during the leadership of Akhenaton, who believed on one god, Aton, and denied all other gods. This belief was extinguished after the death of Akhenaton, as it was not accepted by most Egyptians. A big part of ancient Egyptian religion was their belief in the afterlife. 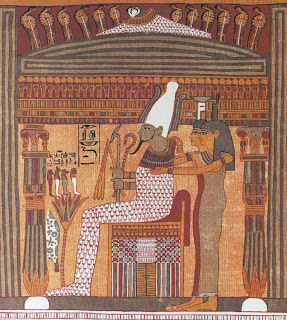 Egyptians believed the soul to be made up of three parts. The “ba” was supposed to be person’s character or personality, the “ka” was the double of the person. Finally, the “akh” represented the person’s spirit after they died. The Egyptian practice of mummification was a crucial part of their religious system. It was believed that unless the dead person’s body was preserved, the person’s soul and body could not reunited and thus they person would not be able to participate in the afterlife. The ancient Egyptian religion; the belief in gods like Osiris, Isis, and Amon-Re are not very popular any longer, although there are still scattered cults for these gods. The downfall of this religion began when Egypt was brought under Roman rule around 31 B.C. After this, Christianity spread rapidly through Egypt, just as it spread through the whole of the Roman Empire. In 389 A.D., all temples were forced to be closed accept those which were Christian and all pagan worship was strictly forbidden. This caused the end of ancient Egyptian religion.